Do you love for your kids to eat fruit and veggies but have a hard time getting them to eat them on a regular basis? Well kids get bored of the same old foods served up the same old way, just like we do. 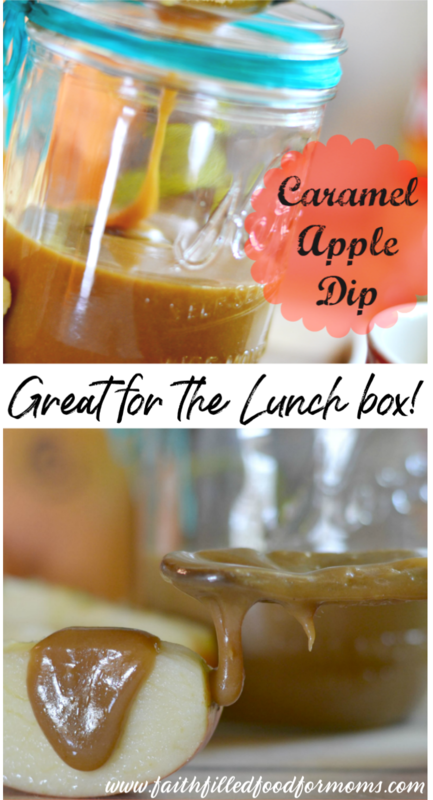 So I love to create all kinds of yummy recipes that kids love to eat! If you have older kids..it’s even harder to encourage them to eat their fruits and veggies..that is.. without a little enticing. 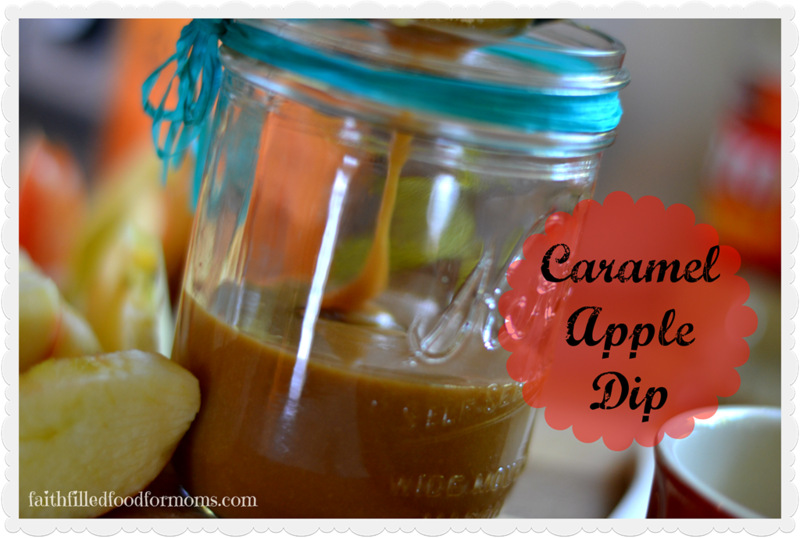 So this weekend I made this easy homemade Caramel Apple Dip Recipe out of part of my Moms Caramel Candy recipe. I adapted the recipe to my liking (it called for white sugar) I prefer Brown for something like this. After looking around the internet too, I found that it’s pretty much made the same just about everywhere you look..with very basic ingredients. 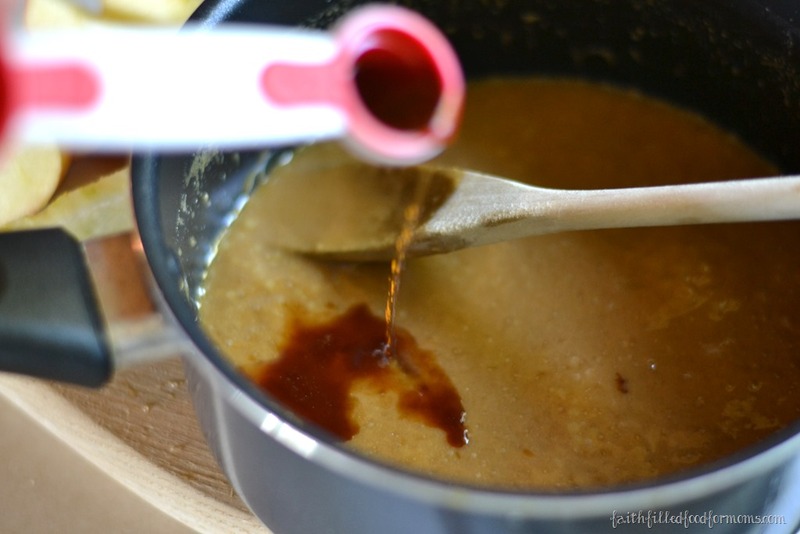 So enjoy and serve up this deelish sauce with Apples for a special treat…now and then. 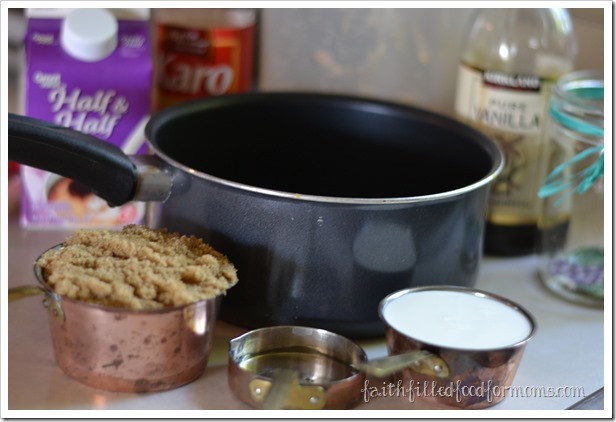 If you love recipes like this, you will LOVE my Easy Homemade Caramel Popcorn Recipe! This makes a very small batch, so if you want to store and save more…just double, triple etc.. 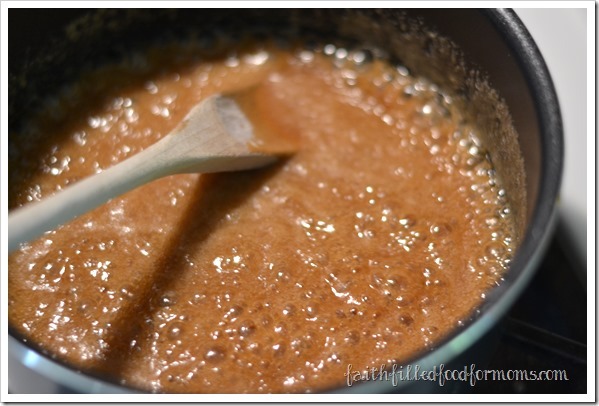 Put all in ingredients into a saucepan and heat up over medium heat. Bring to a low boil and boil until it starts to thicken. 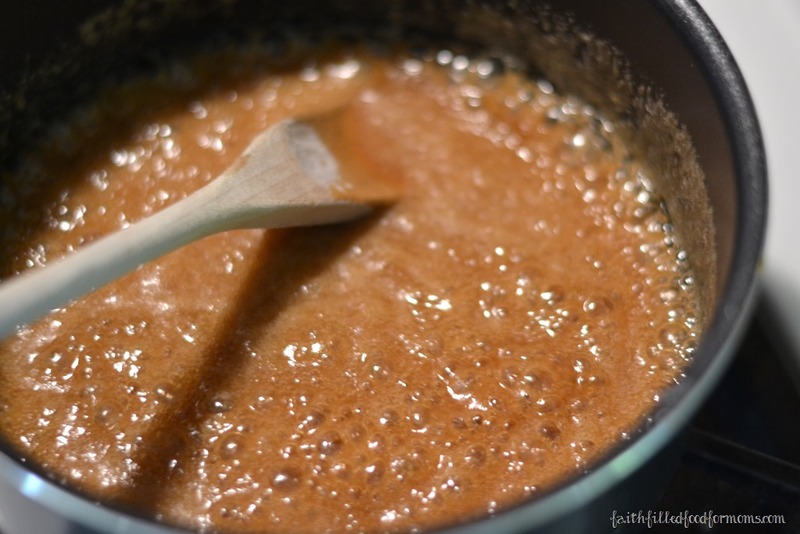 About 3-4 minutes…Do not boil until real thick or it will turn into a hard crack candy rather than a smooth creamy consistency. Use right away or pour into a container. It will be hot, hot, hot so be careful if you use right away. Give a minute or two to cool down. 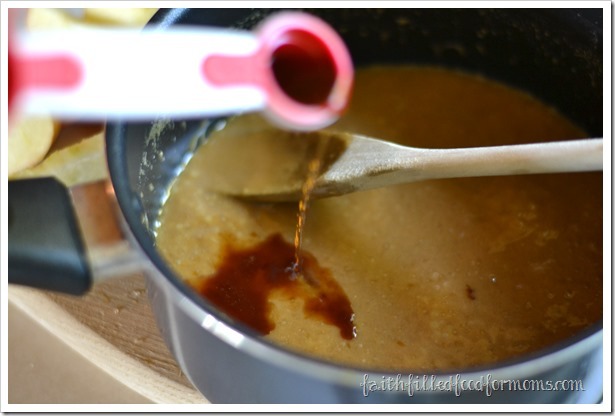 The Caramel Apple Dip will thicken upon standing..You can put into frig for later…if it thickens more than you like just put into the microwave for about 30 seconds to soften. Linking up with: awesome parties! Oh goodness!! I want some right now!!! Yummy!! Thanks for sharing….this looks delicious!! My kids will love this. lol…sorry that I posted twice. It kept giving me an error & saying that it didn’t go through! No worries Jess! Thank so much for stopping by! Yes this is a totally easy recipe and ohhhh so deelish! 🙂 Have a blessed week! Oh great! 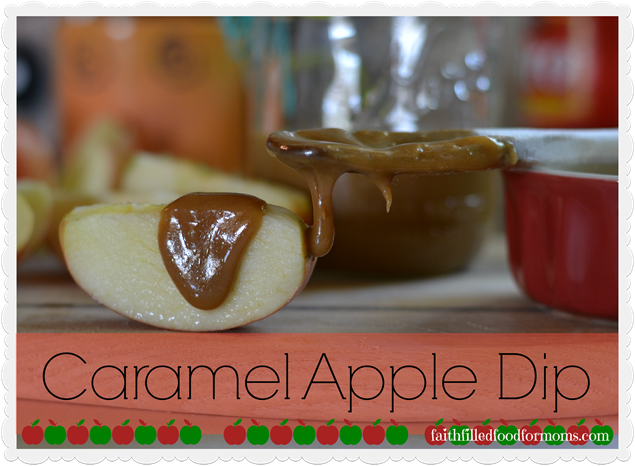 love this easy recipe,cause the only way i can even eat a apple is by dipping them in caramel. 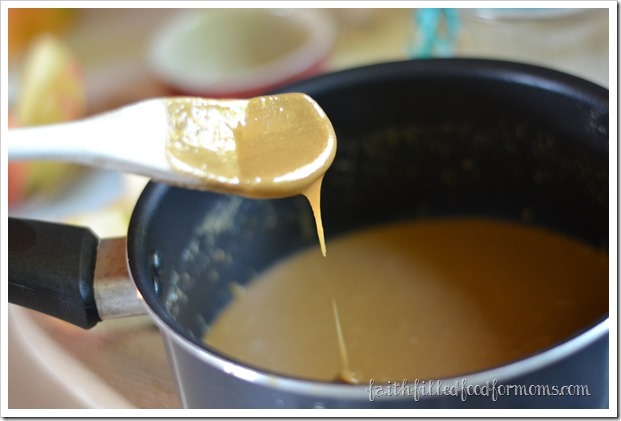 Have to try making my own caramel, you made this look so easy. Thanks for sharing! Delicious! pinning this! this is a favorite snack around my house. Thank you for the recipe. Stopping by from Walking Redeemed. It is! 😀 Thank YOU for stopping by Kat! Have a blessed weekend! This is a great recipe. I making this for sure. This looks so yummy, Shari. Thanks for sharing this for WholeHearted Wednesdays. Welcome to foodie friday thanks for bringing such a yummy treat to the party. I bet you go through bushels of apples with this dip in the house! Thanks for sharing at Inspire Us Thursday on Organized 31. Oh boy do we ever! LOL Thanks for taking time to stop by Susan..have a blessed weekend! This looks scrumptious !!! 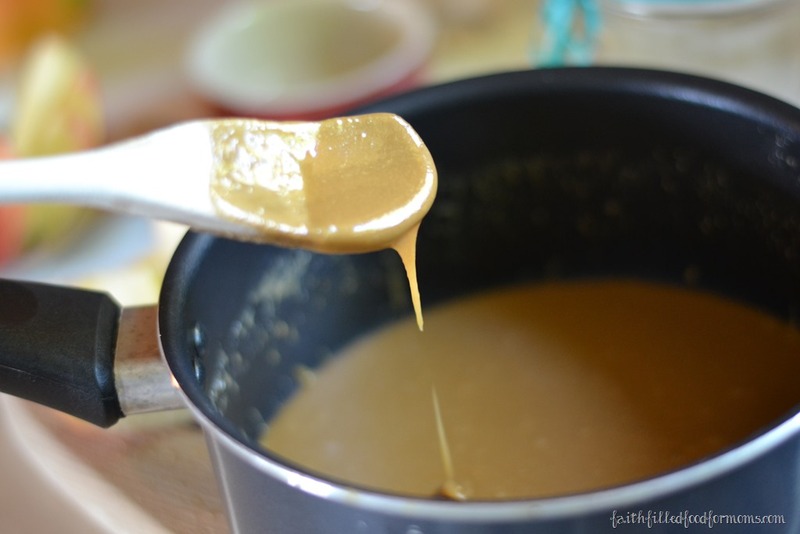 Anything is better with caramel. Is a keeper recipe for sure. Thanks for sharing. Visiting from Proverbs 31 Wife.